Here's another example of a transit agency trying to interact with the public in a way that presents people with real choices. It's from TransLink (greater Vancouver) and it deals with the northeastern suburbs of greater Coquitlam. They invite you first to state your priorities about matters of prinicple ("fewer transfers", "service to more places" etc) and then look at some network scenarios that might illustrate those principles. You then get to rank the scenarios, which invites you to notice whether your principles have shifted once you see their consequences. Check it out. And on an ethical note: Play with it, but don't actually submit your views if you don't live or work or travel there! In my work for transit agencies, I'm always insisting that reports should not just explain how routes perform (typically in ridership per unit of cost) but also why. Here's one partial example from an infographic developed by TransLink, the transit agency in Vancouver, Canada. Now, TransLink can use this in their explanation whenever someone demands that a route should squiggle to serve their interests. A core of my own practice is in developing ways to build understanding of the causes of transit's success, so if your transit agency is struggling to explain productivity, put them in touch with me! Elected officials love to demand "audits." Auditing means that you hire high-prestige people who will scrutinize the books of an agency with particular genius, and deliver recommendations that resound with authority. Like many audits, this one just assumes that low ridership means "without justfication." But low-ridership services are unjustifiable only if ridership is their purpose. Equitably distributing service to all areas that contribute tax revenue to the agency. Satisfying a coverage standard, which is a statement of the form "___% of the population live within ___ metres/feet of service". The specific purpose of these statements, which most agencies have, is to determine when service must be operated despite predictably low ridership. The TransLink audit appears to be simply ignorant about the universal tension between ridership goals and coverage goals. They recommend cutting coverage services because they have (predictably) low ridership. This is exactly as logical as throwing away your microwave because it doesn't produce ice. When an auditor' assumes that ridership or fare revenue is the only goal of transit, they are expressing a certain set of values. This is a valid philosophical position, but it is not the only justifiable one, nor the only one that is widely held in most urban populations. So auditors do citizens a great disservice when they present their values as the only possible ones. In 20 years I have never encountered a public transit agency that actually deploys service exclusively for ridership. Now and then and auditor swoops down and criticizes the agency for the low-ridership services, often implying that the agency didn't already know about them. Transit agencies need the backbone to reply to these audits firmly, explaining that low-ridership services may exist for purposes other than ridership, such as those listed above, and that if these services reflect the voters' values, they are as legitimate as any other. Transit agencies can also support clearer auditing processes if they identify which of their services are intended mainly for coverage, which means their low-ridership should never be counted as evidence of failure. I have worked with several agencies on forming clear statements about the percentage of resources that the agency wishes to devote to coverage service. Once those services are documented, everyone can stop complaining about the low ridership of those services, because high ridership is not their purpose. Auditing is one of those high-prestige professions, like architecture, that is prone to form echo-chambers that resist the introduction of outside information and perspectives. Great auditors, like great architects, are suspicious of their own echo-chamber and always looking for perspectives from outside of it. 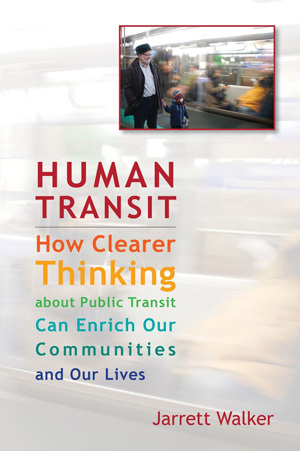 If you want to be a good auditor of public transit agencies, read my book! It will help you avoid the TransLink auditor's mistake, and many others.